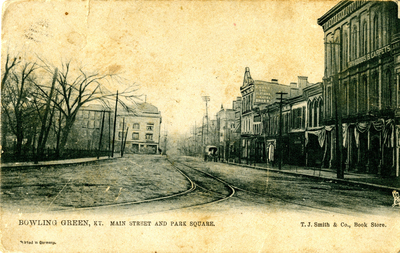 Postcard of Bowling Green's Main Street and Square Park by T.J. Smith & Co., Book Store and irted in Germany. Published by Raphael Tuck & Sons' Post Card Series No. 2841. 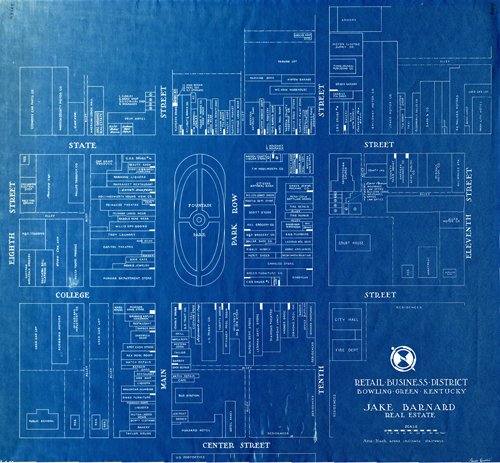 "Bowling Green, Ky" by art publishers to their majesties King and Queen. "Bowling Green" "Main Street" "Park Square"